Real Vision on a mission to disrupt the whole damned system so that everyone from ordinary traders to professional investors get unparalleled access to the very best insight and analysis from the most famous and respected names in finance, including Stanley F. Druckenmiller, Kyle Bass, Jeff Gundlach, Jim Grant, Mark Cuban, Jim Rogers, and many more…We provide a quality of content simply unavailable anywhere else. Be a fly on the wall in this unfiltered deep-dive with the most successful investors in the world. Every weekday a Wall St. professional gives you a new and complete actionable trade idea. 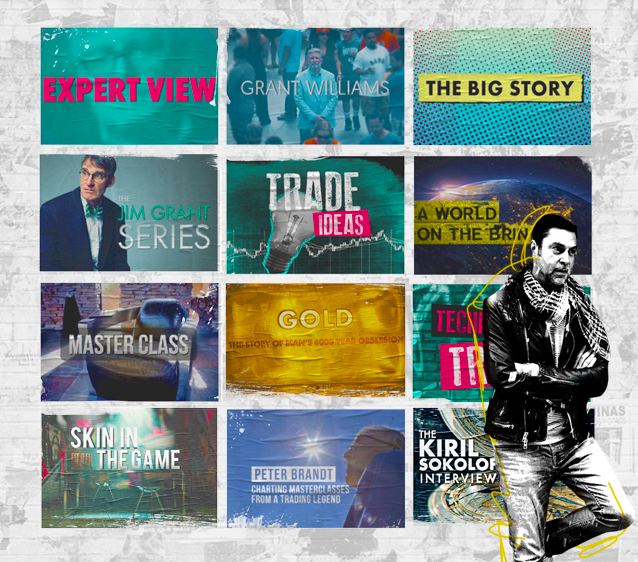 Legendary financial writer Jim Grant brings the biggest names to Real Vision in candid interviews. What’s better than one smart investor? Three! Finance experts meet up to discuss market relevant topics. Brilliant original thinkers who help you stretch your mind about the present and future investment ideas. Deep dive analysis from global experts exploring investment risks and opportunities. Grant Williams visits the world’s greatest investors to mine their deepest insights about markets, finance, and life. Access to the biggest names in finance. Analysis of the hottest new investment themes. And a constant flow of complete and actionable trade ideas. We’re on a mission to disrupt the whole damned system so that everyone from ordinary traders to professional investors get unparalleled access to the very best insight and analysis from the most famous and respected names in finance and a quality of content simply unavailable anywhere else. LIMITED-TIME OFFER: Get a free year of Business Insider Prime with every new Real Vision subscription! Sign up today.